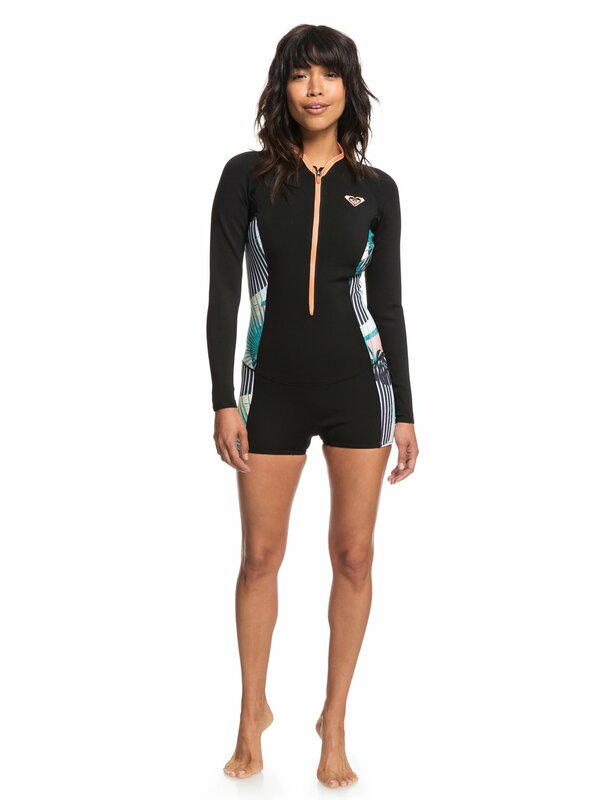 Bold with benefits, this bikini cut long sleeve shorty wetsuit is crafted from cutting edge eco-friendly materials for long sessions and endless waves. Dreamy floral geos are framed with bold black blocking for swim sophistication with a sustainable twist. 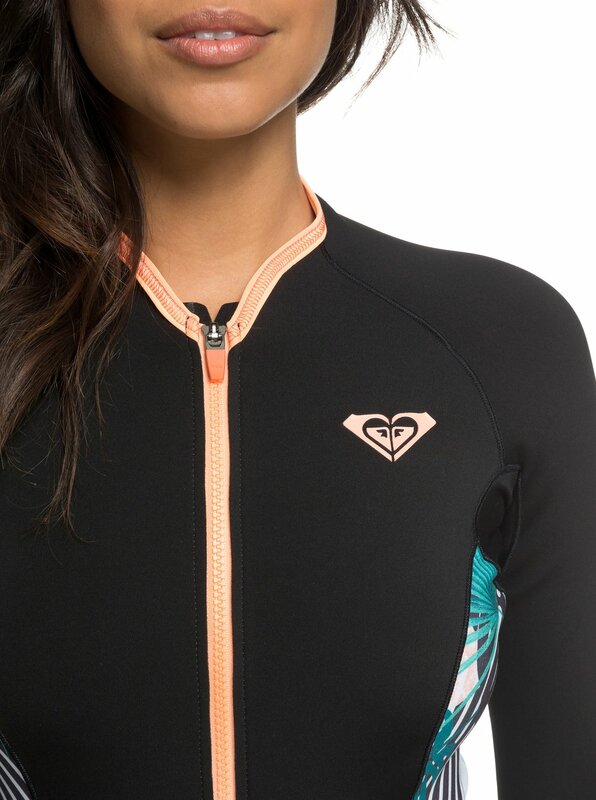 Featuring a front zip for easy entry and key pocket on the lower back.